Mountain-style timber frame homes blend into North America’s many landscapes. This architectural style reflects the rustic homes of the mountains, from the Rockies to the Appalachians. Characteristics of mountain-style timber frame homes include features that take advantage of panoramic views, capitalize on frequently sloped lots, and create seamless indoor-outdoor living. Ideal for modern living, mountain-style homes are built in many different types of settings. 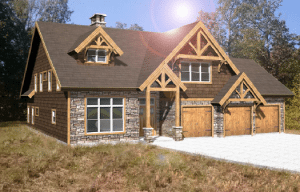 Today, we are featuring three mountain timber frame homes that are scheduled to break ground within the next year. We are excited to see these homeowners’ dreams come to life with the timeless tradition of timber framing. 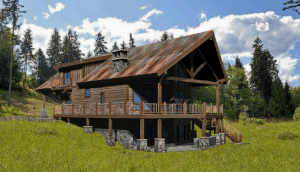 If you are inspired by these custom home designs, explore our mountain-style timber frame home designs. Want to break ground on your timber frame home in 2018? Learn more about our design process or contact us to start your dream home today.